President Donald Trump pardoned Navy sailor Kristian Saucier, who pled guilty to violating the Espionage Act after he took photos with his cell phone of a “nuclear attack submarine.” He also destroyed evidence after FBI and NCIS agents interrogated him. Trump’s motive for issuing a pardon for “unauthorized retention of defense information” stemmed from a desire to additionally rile up his supporters. He mentioned Saucier throughout the election campaign when grumbling about the lack of prosecution for former Secretary of State Hillary Clinton’s mishandling of classified information in her emails. 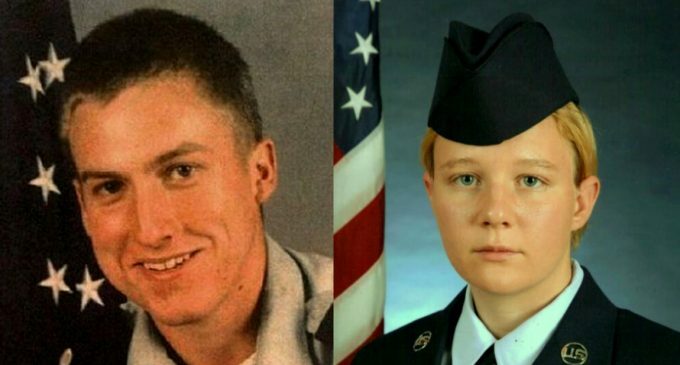 While Trump pardoned a Navy sailor, the Trump administration zealously pursues a case against NSA contractor Reality Winner for allegedly disclosing a top secret NSA report on alleged Russian hacking of voter registration systems to the press. So how do the two cases compare? This is a common refrain from individuals prosecuted for leaks in the past decade. Indeed, the most glaring example of this two-tiered justice system for “mishandling” classified information is David Petraeus. Petraeus improperly possessed “Black Books,” which contained identities of covert officers, war strategy, intelligence capabilities, and notes from discussions with President Barack Obama. He lied to FBI agents. He leaked top secret information on “sensitive military campaigns and operations.” He divulged highly classified information to a biographer, with whom he was having an affair. For this misconduct, Petraeus was charged with “unauthorized removal and retention of classified material,” which falls under a section of the criminal code for public employees. He was not prosecuted with the Espionage Act and that gave Petraeus the privilege of pleading guilty to a misdemeanor instead of a felony. The four-star retired general was sentenced to probation for two years and asked to pay a $100,000 fine, which he could easily recoup by speaking at a few universities or think tank events. He continued to advise Obama’s National Security Council on how to respond to the Islamic State and crises in Iraq. Both Saucier and Winner were charged with violating the Espionage Act. They did not receive the kind of leniency that Petraeus enjoyed. Though Petraeus’ years of service insulated him from aggressive prosecution, that was not the case for Saucier and is not the case for Winner. Saucier enlisted in the Navy in 2005. He scored high on the Armed Services Vocational Aptitude Battery test and was offered an opportunity to join the Naval Nuclear Power program. From 2007 to March 2012, he was a “machinist’s mate” on the U.S.S. Alexandria. Winner was in the Air Force for six years and received a medal for work on a mission in Afghanistan. She obtained an associate’s degree in Persian-Farsi and Dari courses. She worked for six months at a Defense Department facility in Augusta. After her honorable discharge from the Air Force, she became a contractor for Pluribus International Corporation. Despite their records of service, prosecutors used their records against them. Saucier was accused of “methodically documenting” the propulsion system of a U.S. nuclear submarine in a “calculated” manner. They never suggested what they believed Saucier planned to do with the photographs but insisted the photographs could not have been taken to show his future kids. Prosecutors in Winner’s case have invoked her skills to argue she has a “strong and persistent desire to travel to the Middle East, particularly Afghanistan.” She would like to travel to Pakistan and meet “leaders of the Taliban.” And, as a result of this argument, an appeals court viewed the fact that she is fluent in Farsi, Dari, and Pashto, and would like to work in the Middle East as something nefarious. “She wanted the Air Force to deploy her to Afghanistan; she researched traveling, working, and living in places like Kurdistan, Iraq, Afghanistan, Jordan, and the Palestinian territories; she researched flights to Kurdistan and Erbil; she researched buying a home in Jordan; and she researched how to obtain a work visa in Afghanistan,” according to the appeals court. In one key aspect, the Saucier and Winner cases differ. Saucier was charged with obstruction of justice. He destroyed a laptop, camera, and memory card after he was interrogated by FBI and NCIS agents. Winner did not engage in obstruction of justice, although when FBI agents interrogated her without reading her Miranda rights she was informed that it would not be a good choice to lie to an FBI agent. The conduct Saucier committed was obviously out of fear. He recognized he would lose his job and no longer be able to do what he was very good at doing. Ultimately, the punishment was far more severe because of the actions he took out of fear. The government requested a 63-month prison sentence. A judge sentenced Saucier to one year in prison. Petty officers Justin Rowen and Marc DeSantos took photographs of the “maneuvering compartment” of the U.S.S. Alexandria, and in January 2010, they were sanctioned. The sailors were forced to re-qualify for the nuclear program and forfeit $560. DeSantos was demoted and Rowan lost a promotion. Because this happened on the same submarine, the government reasoned Saucier deserved harsher punishment and made a greater example out of him. But that did not happen with Petraeus. When Petraeus was CIA director, CIA officer John Kiriakou pled guilty to violating the Intelligence Identities Protection Act. Petraeus put out an official statement. “Oaths do matter, and there are indeed consequences for those who believe they are above the laws that protect our fellow officers and enable American intelligence agencies to operate with the requisite degree of secrecy,” Petraeus declared. Petraeus’ attorneys specifically requested the Justice Department not mention Petraeus’ statement on Kiriakou in the statement of facts that accompanied the plea agreement. Prosecutors could have wielded the statement the same way they would have wielded it against a low-level government employee, but they allowed Petraeus’ stature and influence among elites to discourage them from holding it against him. Winner has yet to go to trial, but there is ample evidence to suggest prosecutors will not temper their requests for punishment. The standard sentence would seem to be anywhere from 13 months to 42 months for a leak. The government will undoubtedly request a much longer sentence. Regardless, the punishment, including harsh pretrial confinement, will stand as evidence of the very two-tiered justice system, which Saucier condemned and which Trump chose to remedy by issuing a pardon. The post Navy Sailor’s Pardon Highlights Two-Tiered Justice System for Leaks appeared first on MintPress News.